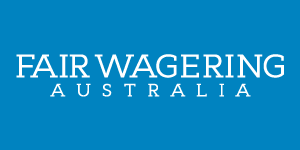 In case you missed this week’s news, Racing NSW have declared their intention to bring back fairness into the Australian wagering landscape by introducing a minimum bet rule. Racing NSW announced the move here. And more details about how it forms part of the “Race Fields Information Use Conditions” are available here. This is great news. But its only the beginning and there’s a long way to go in our efforts to help swing the pendulum back towards a level playing field between punters and bookmakers in Australia. As we’ve said before, holding a bookmakers licence is NOT and never should be a licence to print money. Targeting and betting losers only is a completely ruthless and unfair business model. Complicit state regulators have failed dismally to protect punters. Lets be clear – the foreign-owned corporate bookmakers are making huge profits from their Australian operations. Betting winners to win $2000 or $1000 wont send them to the wall, but it will trim their margins to a more realistic level. Who knows, maybe risk assessors might make way for some real bookmakers that know how to price and manage markets? It’s no surprise that spin doctor Mary Collier, who represents the foreign-owned corps, is defending the shameful practices right up until the end. “What the entire industry needs when looking at complex issues is to have rules developed in a thoughtful and careful way that .. works for bookmakers and punters,” she says while complaining about a (perceived) lack of consultation. Excuse me? You see, I cant find a punter who was consulted before the corporates quietly and successfully lobbied the Northern Territory Racing Commission to have their minimum bet rule completely abolished a few years ago. Not one. Arguments about small “Mum and Dad” punters losing out is absurd. I’m tipping that there will be no impact whatsoever on price competitiveness as a result of this rule. It will remain a highly competitive industry – why would one bookie consistently bet a higher margin and risk losing or attracting new business? We’ve got the issue into the mainstream media. Punters and the general public see a racing body making an attempt to bring back fairness to punting. Good luck to any bookie who decides to ignore the rules and go to court in an attempt to keep winners off their books. We all know how that will look in the court of public opinion.